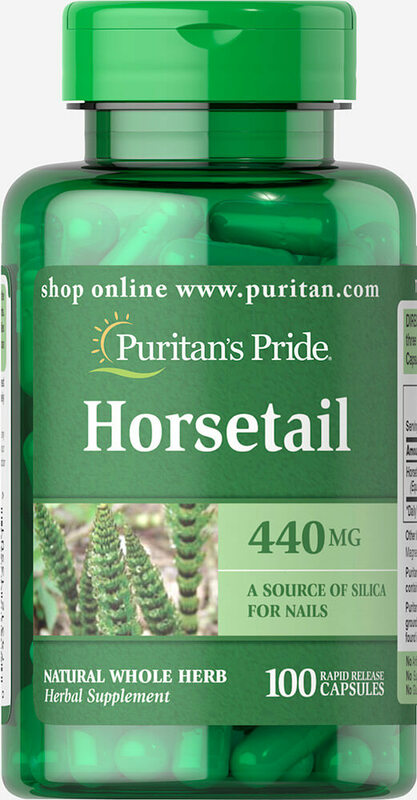 Horsetail (Equisetum arvense) is a natural whole herb. Puritan’s Pride’s Natural Whole Herb products utilize ground plant parts to provide the natural components in the amounts found in nature. A Source of Silica for Nails. Available in 440 mg. Whole Herb Capsules.